Sunset on Kamaole Beach II only a couple of minutes walk from condo. Ocean view looking over our large fresh water pool, one of the largest in Kihei. Enjoy the Shuffle Board court directly across the driveway from our pool and office building. View of Mt. Haleakala from our large fresh water pool. Winter months of Whale watching in our Kihei bay in Maui. Beautiful Kamaole II beach. One of Maui's finest. Don’t pay those high fees!! Save by Renting direct with these owners! Enjoy Maui to the fullest while staying at the Kihei Kai Nani Resort. 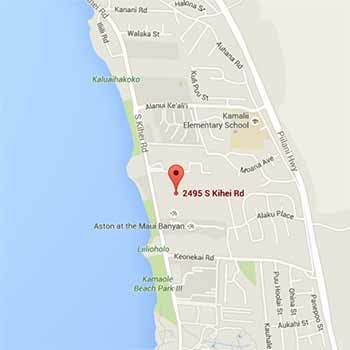 At the Kihei Kai Nani Vacation Condos you can… Swim in the best beaches. Hike down into a crater, across lava beds, hidden water falls. Swim at base of water falls, at red and black sand beaches. 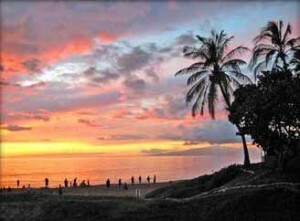 Come and stay with us and enjoy the numerous offerings of Maui. Short walk to many fine Maui restaurants, shopping, souvenirs and light groceries. 3 of the best beaches on Maui, Kamaole I, II and III beach parks stretching nearly a mile. Excellent beaches for families of all ages. Short drive to most of Maui’s top 10 activity attractions and World Class Golf Courses. This website reflects individual owners and their condo units. Any rental agreement is exclusively between the rental guest and the individual condo owner. We developed this web site (OwnersMaui.com) with our group of owners to offer guests a “one-stop” shopping opportunity. 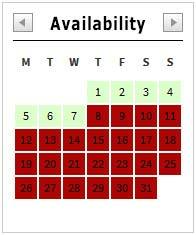 Guests can easily view all availability calendars for each of the 15 listed condos on one screen. They may also view the owners pictures, nightly rates, amenities and rental policies, without leaving our web site. We offer discounted rates thru owner direct rental of Maui vacation condos in the Kihei Kai Nani resort, located in South Kihei. This is a premiere location, conveniently close to everything; beaches, shopping, souvenirs shops, restaurants, and light groceries. We invite you to enjoy our Maui Pictures page with photos taken all around Maui, and our location page with maps and aerial views showing our specific location in south Kihei. Our Kihei Kai Nani complex is a popular low-rise resort in South Kihei, Maui, next to Wailea. Six acres of tropical gardens, one of the largest swimming pools in Kihei, and consists of 180 units in 13 – 2 and 3 story buildings. Walk amidst coconut palms, smell the sweet blossoms of Plumeria trees, marvel at the bananas growing right outside your window, enjoy the hibiscus and other tropical flowers. Maui is “No ka oi”….which means “The Best”. Whether you visit Maui for sun and warmth, snorkeling, hiking, relaxing, golf or just soaking in the sun and culture, we offer you excellent condos in South Maui at our Kihei Kai Nani resort. Affordability with our discounted rates, and always clean and comfortable.